We are expanding our commitment to donating organic produce to partners who directly address food insecurity in the community. Supported by a $5,000 grant from the Harvard Pilgrim Health Care Foundation, the Giving Garden now includes 4,000 square feet of new land in production, managed by volunteers and dedicated entirely to growing food for local soup kitchens and food pantries. Community members are invited to join the effort, and can attend work sessions usually held at 9am on Saturdays and 6pm on Wednesdays, or fill out our volunteer form and indicate interest in the Giving Garden to be added to email lists for additional opportunities to help out. For the last two years, a volunteer Giving Garden Team has used several community garden plots to grow food for donation to the soup kitchen at St. Elizabeth Ann Parish in downtown Northampton. Joan Gruszkowski, manager of the soup kitchen at St. Elizabeth Ann, indicated that increased donations would be welcome. Her program serves lunch twice a week, for a total of nearly 6,000 meals served annually. 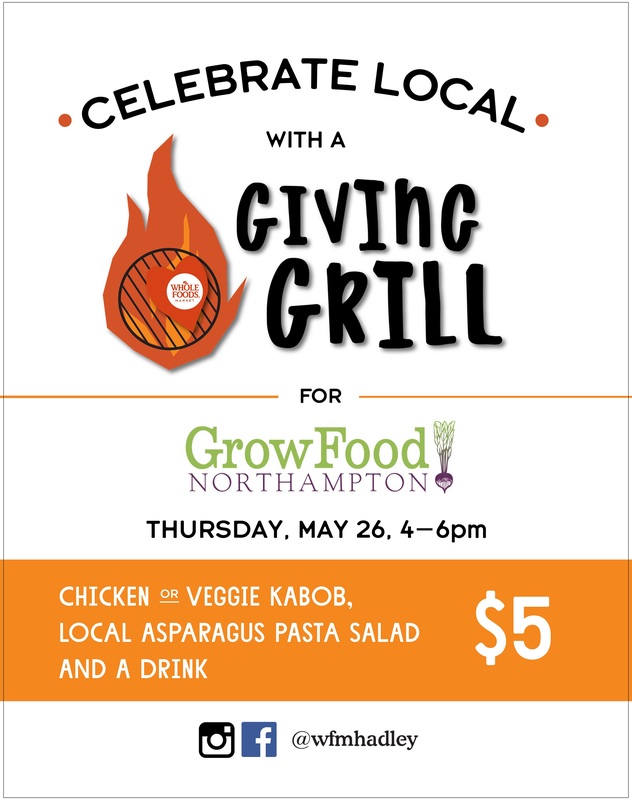 Always seeking ways to broaden access to healthy, local food, Grow Food Northampton decided to expand the Giving Garden effort to new land adjacent to the community garden. The Harvard Pilgrim Health Care Foundation’s $5,000 grant, one of 106 Community Garden Grants awarded in New England, paid for the cost of plowing and tilling a tenth of an acre, enough compost to cover the soil to a depth of two inches, a variety of seeds, and supplies for growing, harvesting, weighing, and transporting the expected harvest of over 4,000 pounds of produce from both the newly tilled fields and the garden plots already in production. After preparing the new ground in early June, the Giving Garden team has planted tomatoes, sweet peppers, beets, turnips, green beans, summer squash, and winter squash. In the smaller plots, lettuce and other greens are already being harvested and donated. Virtually all of the labor involved is provided by volunteers and interns. Carla Shafer, who had previously worked at Red Fire Farm and managed two organic farms of her own, volunteered to mastermind the project’ expansion. “Taking the Giving Garden to a slightly more farm-like scale is a satisfying way to contribute my knowledge of farming to a great cause, and the enthusiasm and dedication of everyone involved is truly inspiring,” said Shafer. 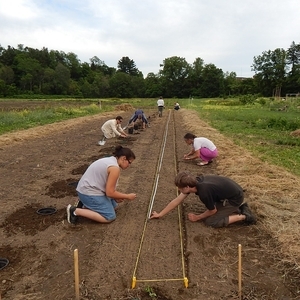 Shafer provides detailed instructions for bed preparation, planting, weeding, and watering to two Smith College interns, Riley Cushing and Danielle Jacques. Jackie Kinealy, whose interest in the Giving Garden led her to become a community gardener in 2014, provides similar leadership for the three 400 square foot plots. Regular “Power Hour” work sessions are being held each week, currently at 9am on Saturdays and 6pm on Wednesdays, during which larger numbers of community gardeners and volunteers from the larger community help with planting, weeding, and harvesting in both growing areas. 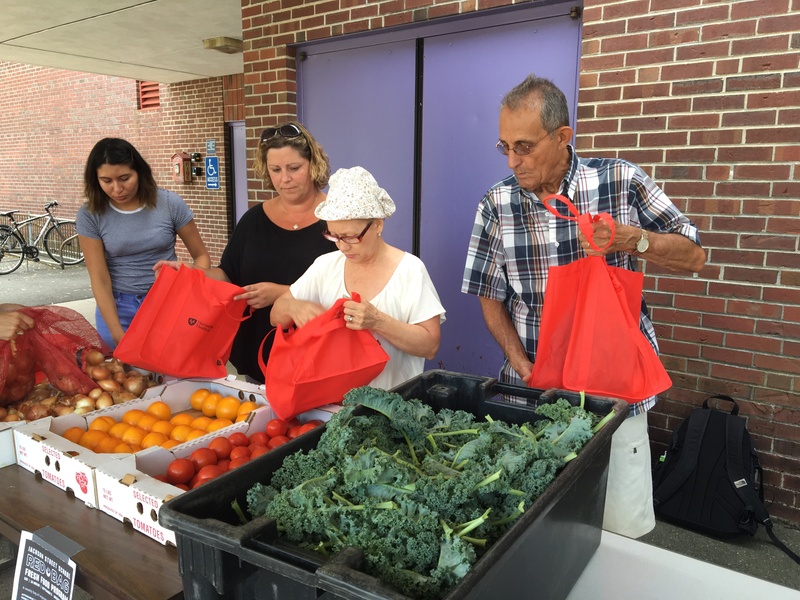 Additional volunteers coordinate transport of Giving Garden donations, as well as surplus produce from Crimson and Clover Farm, to the soup kitchen and the Northampton Survival Center. Volunteers interested in deliverig produce can sign up here. We have also begun conversations about donating any produce that Gruszkowski can’t use in her to the MANNA soup kitchen at Edwards Church, which serves three meals each week. The Survival Center’s Executive Director, Heidi Nortonsmith, has confirmed that her organization is glad to receive any additional produce that may not be needed at soup kitchens in any particular week. 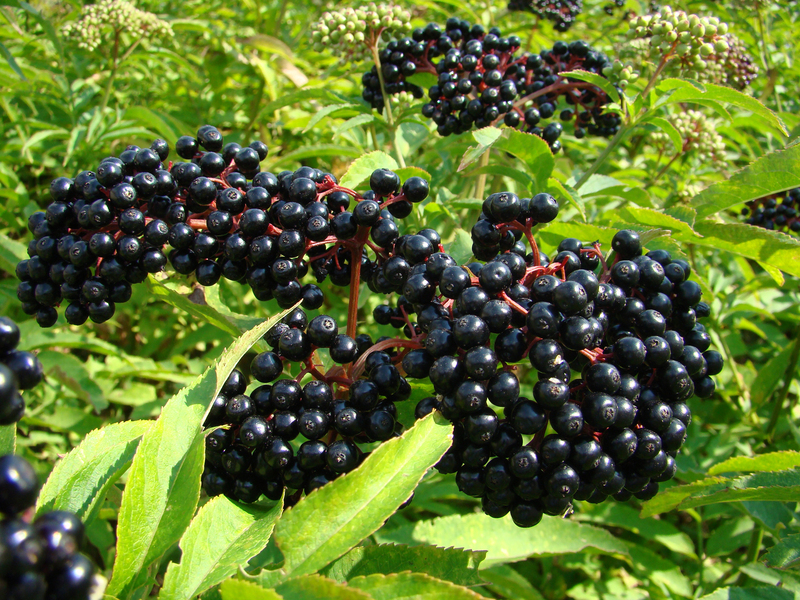 next post: Vote for our Giving Garden Grant!